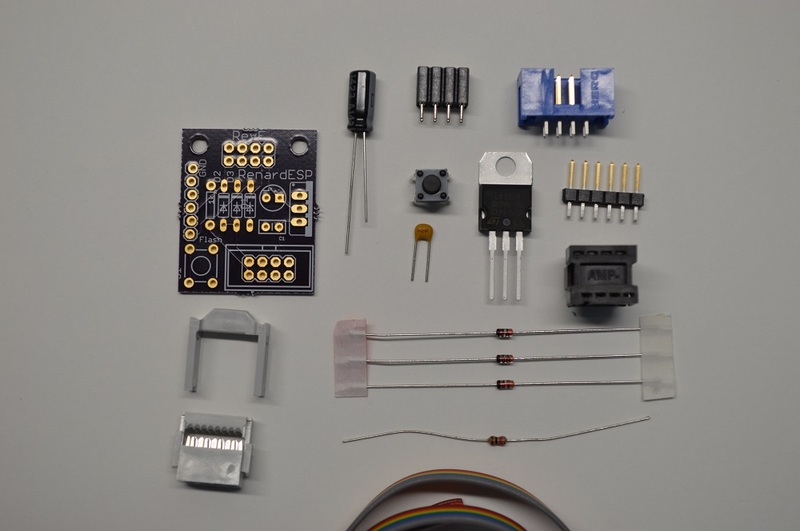 You can download the source files for the PCB with parts list here and the firmware is available here. Let’s start by making sure we have all the parts ready. Next we will add the three diodes and 1kOhm resistor. 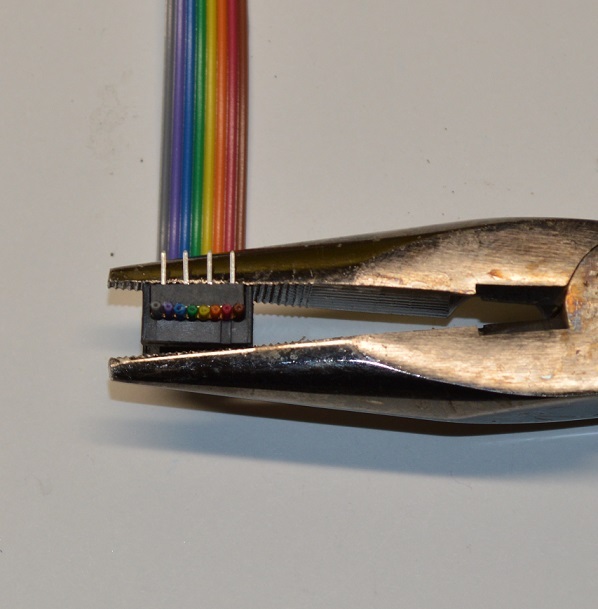 Note the direction of the black line on the diode! It must match the white line printed on the circuit board. It does not matter which way the resistor goes. Then the 0.1uF capacitor. It does not matter which way it goes. Next is the push button. The push button can fit on the board one of two ways. Either way is fine. 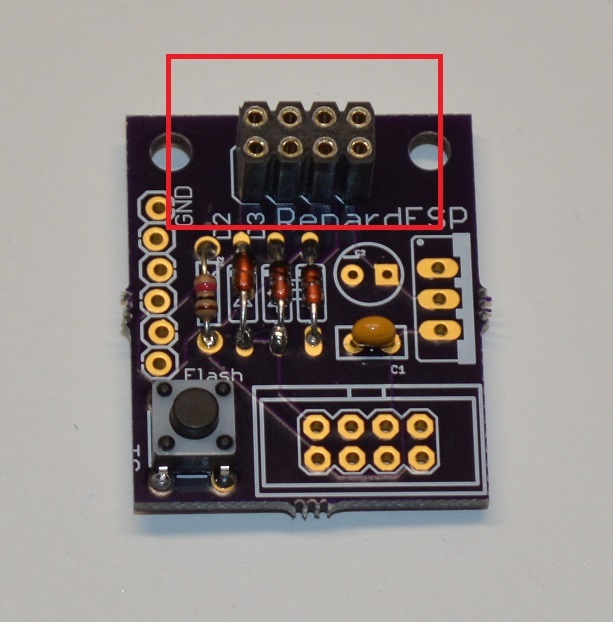 Next is the 2×4 pin socket for the ESP8266 board. 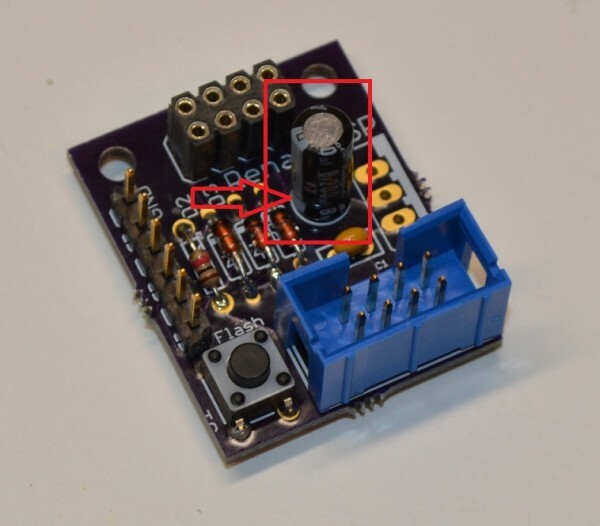 Make sure this socket gets soldered down flat against the PCB. I recommend soldering 1 leg down first, checking the orientation and adjusting if necessary, than soldering down the rest. Then the 2×4 shrouded header. Pay attention the orientation of the tab opening, it should match the tab printed on the PCB. Then solder on the 6 pin connector making sure it ends up flat against the PCB. Next is the polarized capacitor. It DOES matter which way this one goes in. 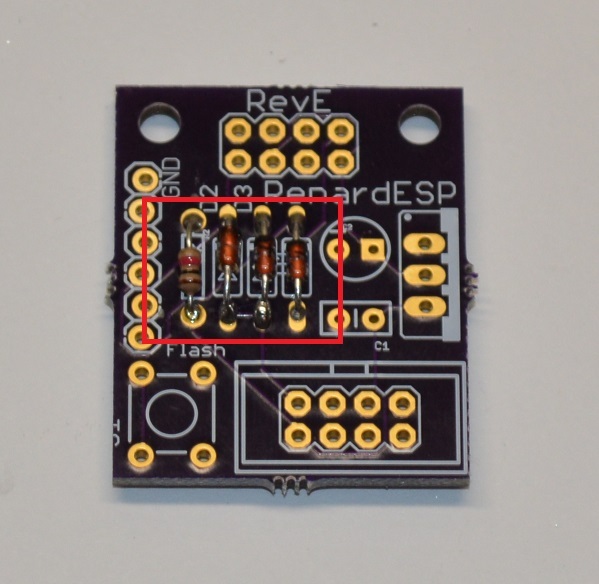 On the PCB, there is a small minus (-) sign above one hole. On the capacitor, the pin on the side that has a white strip painted on it needs to go though this hole. Finally solder in the voltage regulator. 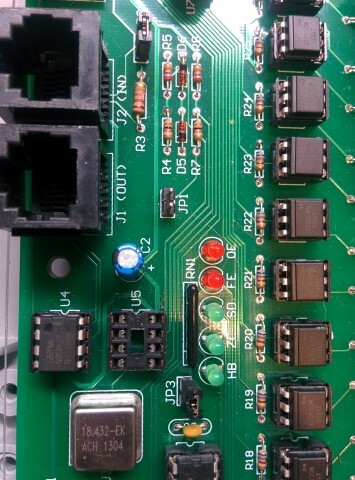 Pay attention to the orientation, the tab or heatsink should face away from the PCB. 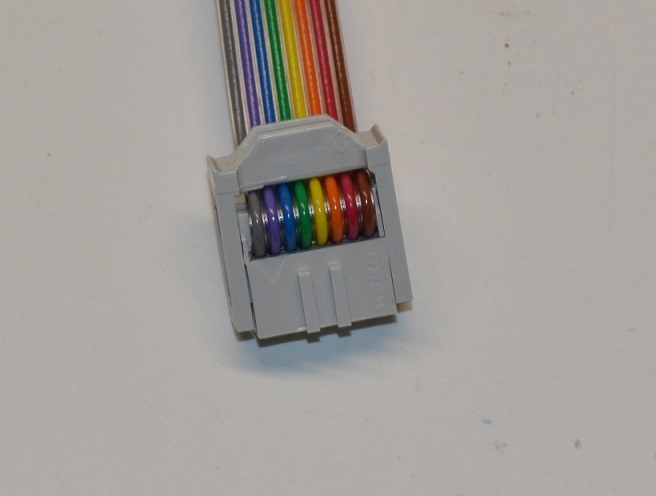 Next we are going to make the jumper cable. 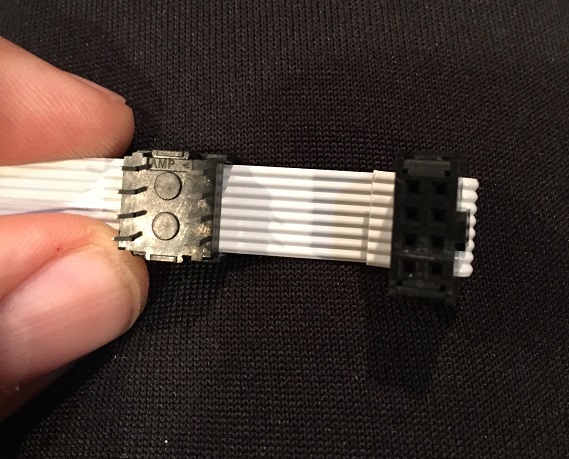 This consists of 2 crimp-on connectors and a 8 pin ribbon cable. 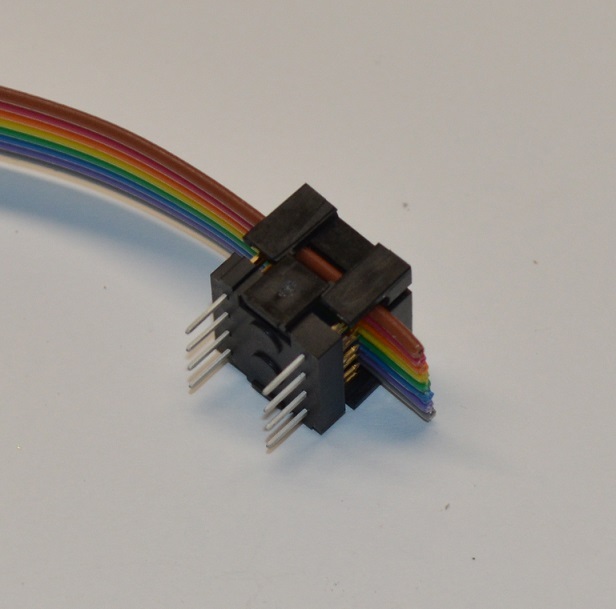 One connector is a special DIP adapter we will be using on the Renard board. Be careful with this part, as it is fragile. 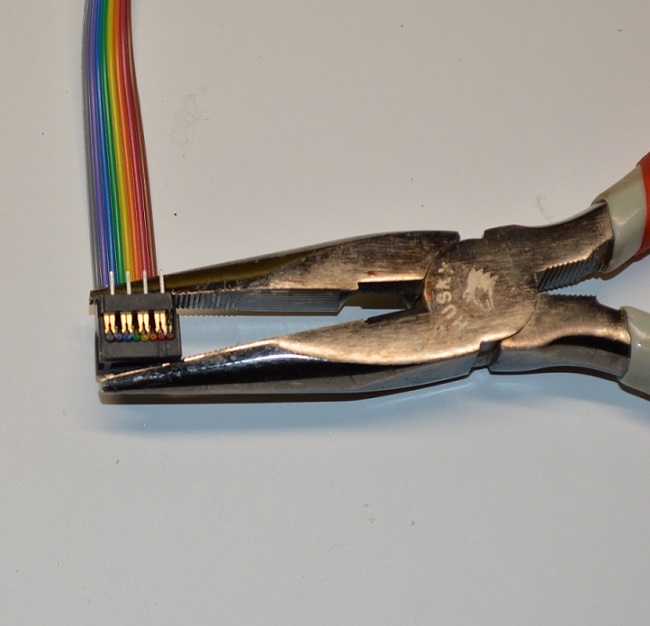 Use needle nose pliers to carefully crimp the connector onto the ribbon cable. 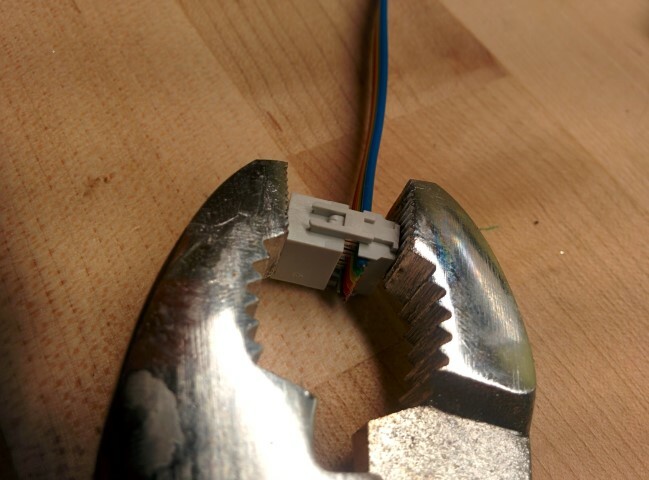 Use pliers to squeeze the connector together over the cable. 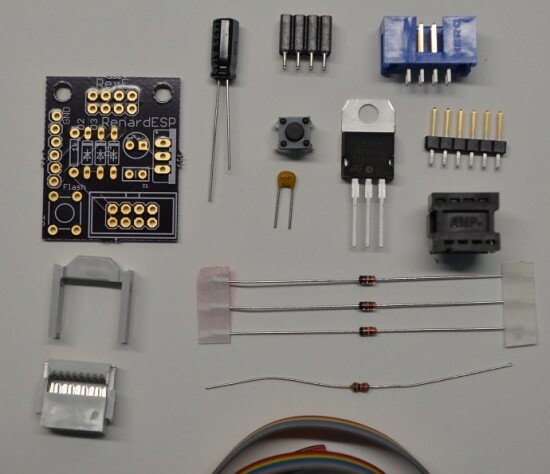 The kit is built, and now it’s time to program it. Now that you have built the adapter, time to upload the code. We will be using the Arduino IDE (v1.6.5, available HERE) to upload the code. 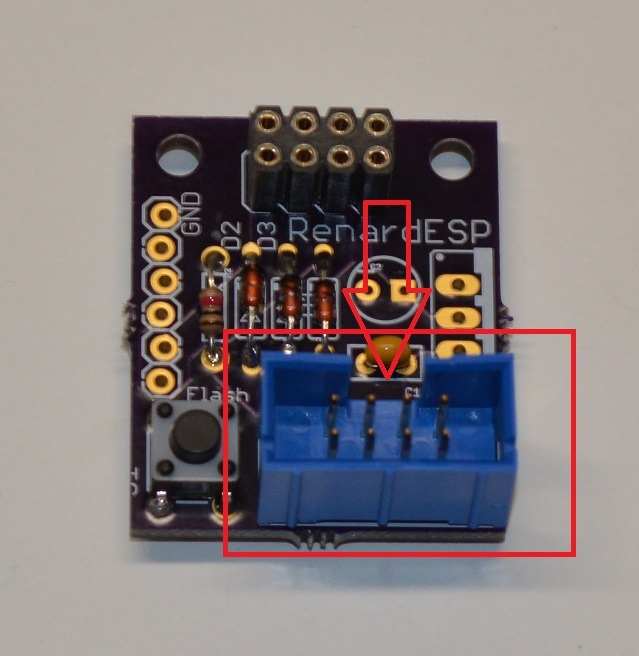 Follow the instructions HERE to add support for the ESP8266. 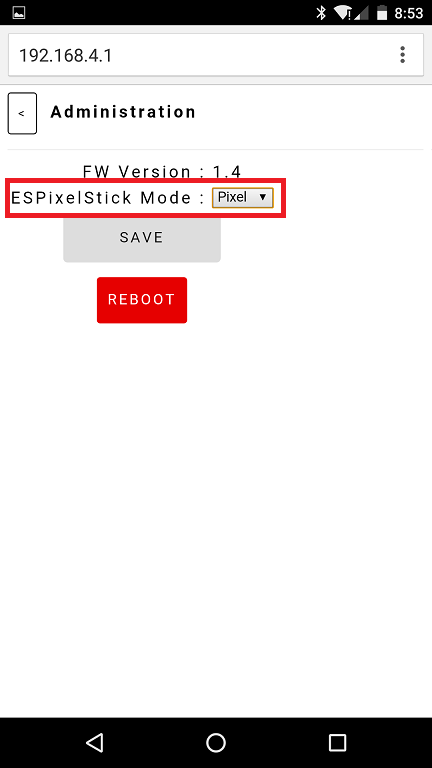 Select ‘Generic ESP8266 Module’ as the board type. When you connect the programming cable to the RENESP, be sure to hold down the programming button as you make the connection. 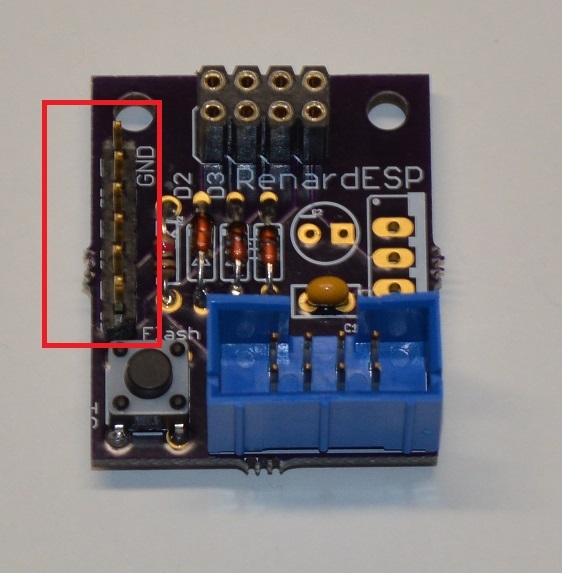 Do NOT connect the programmer to the ESP adapter at the same time it is connected to the Renard mainboard. Download the firmware from HERE by selecting ‘Download Zip’ on that page. Unzip the folder from the zip file, rename it to ‘ESPixelStick’ (remove the -master) and open up ‘ESPixelStick.ino’ in Arduino. Hit upload and wait for the magic to complete. After that, it’s best to power cycle the RENESP once so it gets to a good state, then you should be ready to configure controller settings. 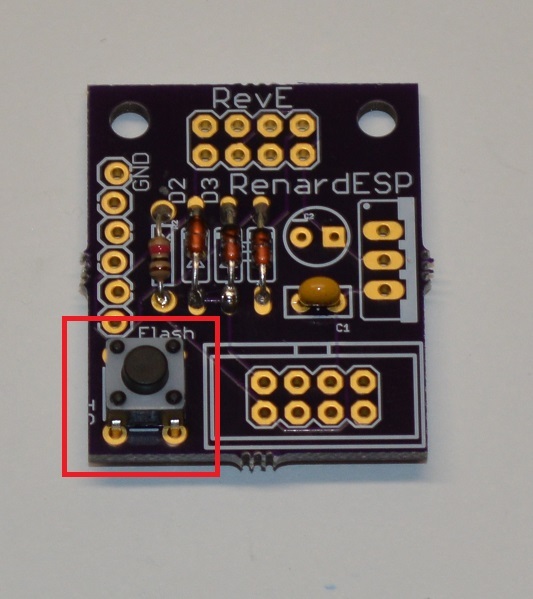 The way the kit connects to the Renard is it replaces the 8 pin RS-485 differential receiver chip on the Renard PCB. There are 2 identical chips on the Renard, the other one handles transmitting Renard data to the next device down the line. We only want to replace the RECEIVER chip, not the transmitter. On the Renard SS 24, this is the chip labeled U5. 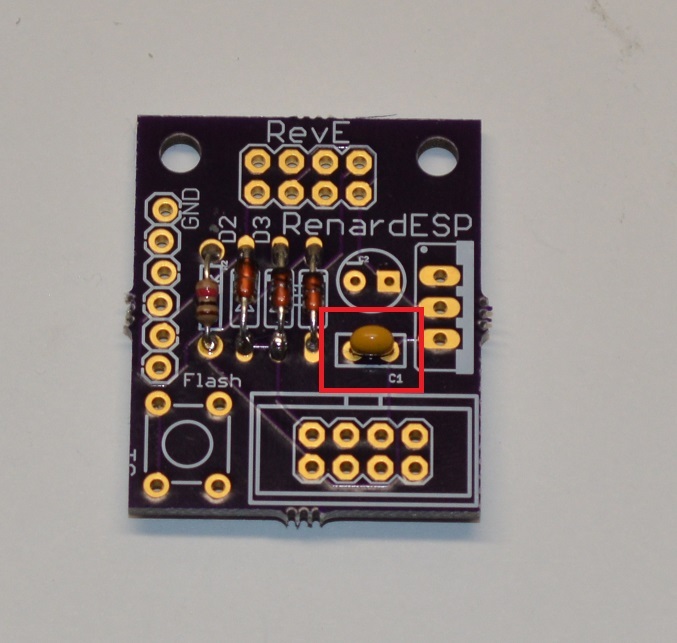 With the Renard unplugged from any power, remove the receiver chip. 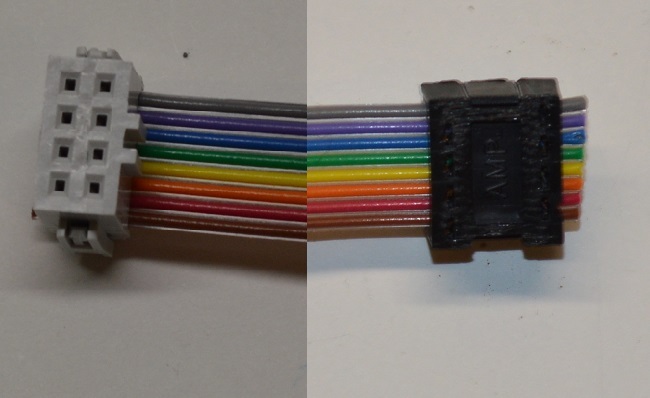 CAREFULLY replace it with the ribbon cable adapter and ribbon cable. 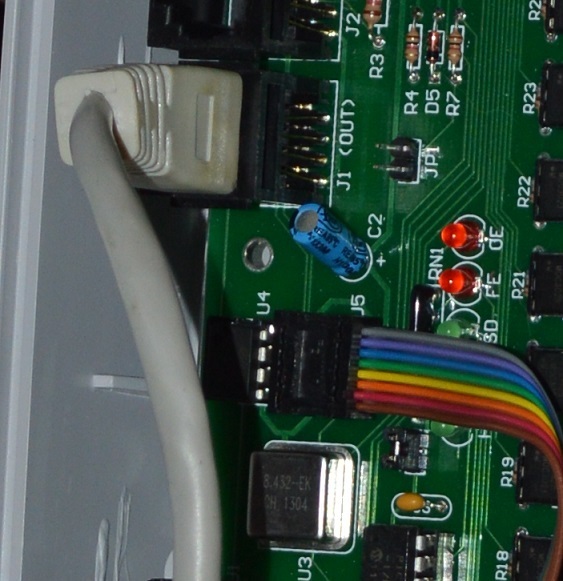 Notice there is a notch on the top of the socket on the Renard, and the ribbon cable comes off the connector to the RIGHT. DO NOT PAY ATTENTION TO THE WIRE COLORS IN THIS PICTURE. 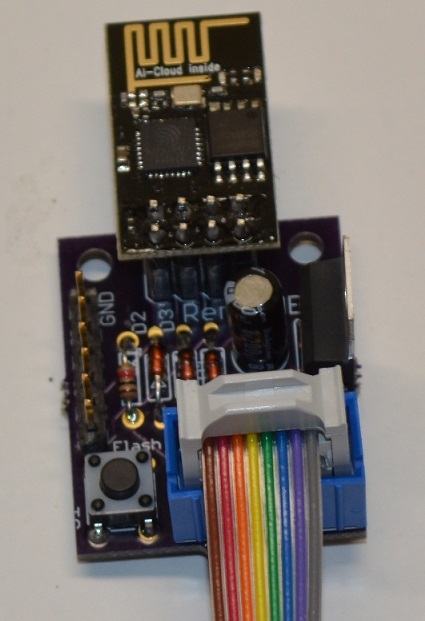 And finally attache the other end of the ribbon cable to the ESP adapter. Use doubled sided tape or screw mounts to attach it to the lid of your Renard enclosure. Try to keep it as far away from the Renard PCB and Triac heatsink as possible. 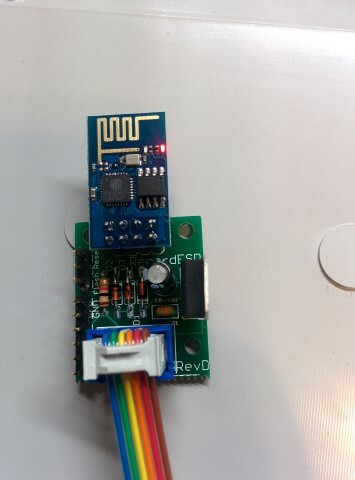 When you first power up the Reanrd with new WiFi adapter, it will broadcast a WiFi access point with an SSID of “ESPixel xxxxxxxx” where the x’s are a serial number specific to each WiFi chip. 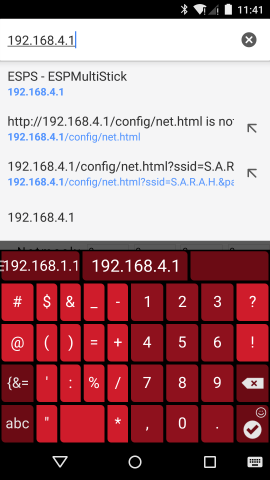 Using a smartphone or other device, connect to that wireless network. And you should be greeted with the config page. 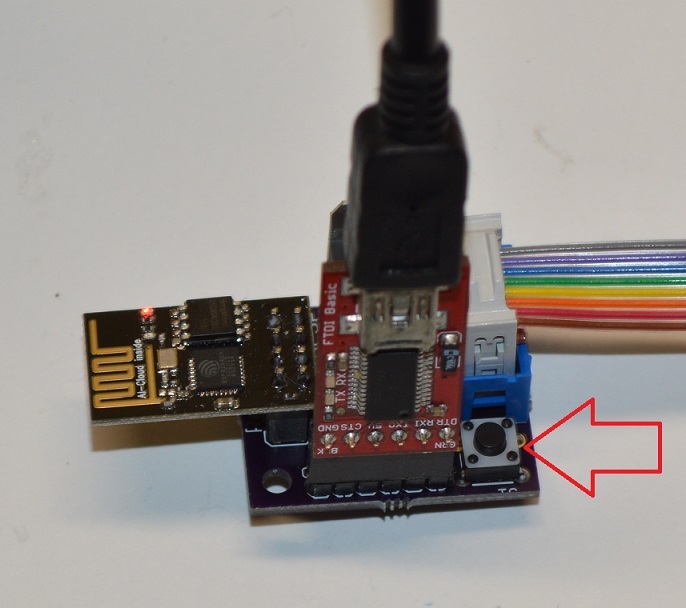 We are going to start by putting the ESP8266 into Serial mode. Go to the ‘Administration’ page. And change Mode to ‘Serial’. Next go to the “Network Configuration” page. Here we will set the WiFi adapter to join your existing show network and give it a new static IP. Use the list at the bottom to fill in SSID be clicking on your network and enter in a password if required. 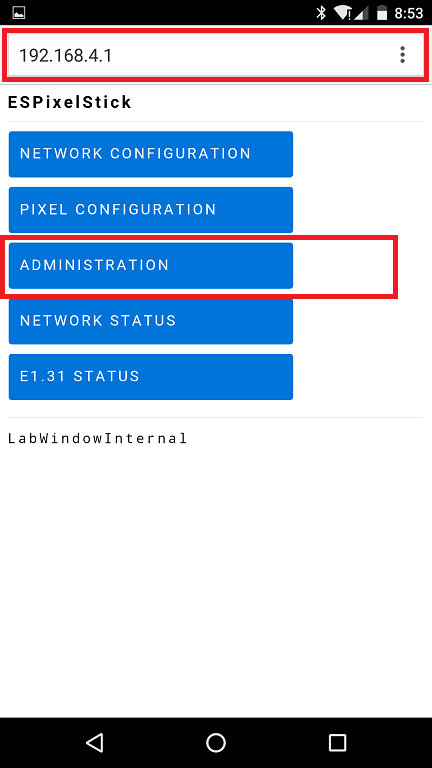 Clear the checkmark for DHCP and change the static IP address to match your network setup. 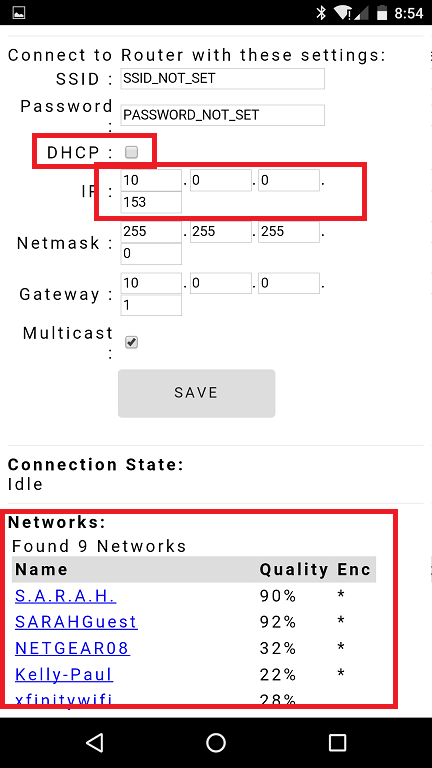 If you plan to send the e1.31 sACN data via Multicast instead of Unicast, make sure to check that box. 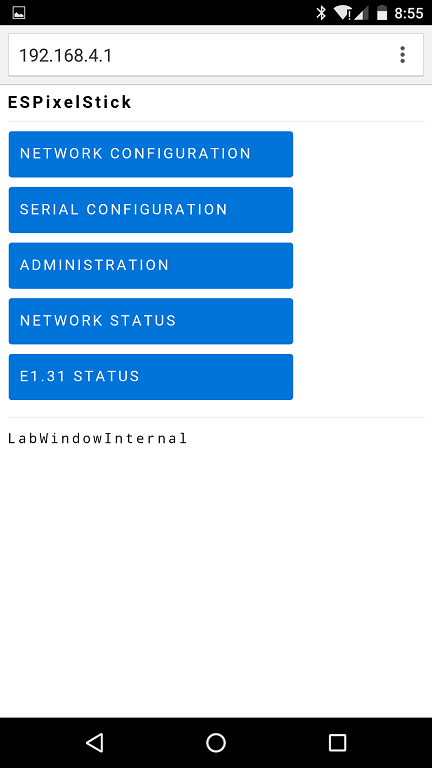 This time navigate to the Serial Configuration page. The import fields to set are ‘Universe’, ‘Start Channel’, ‘Output Type’, ‘Channel Count’ and ‘Baud’. Universe and Start Channel will depend on your e1.31 sACN configuration. 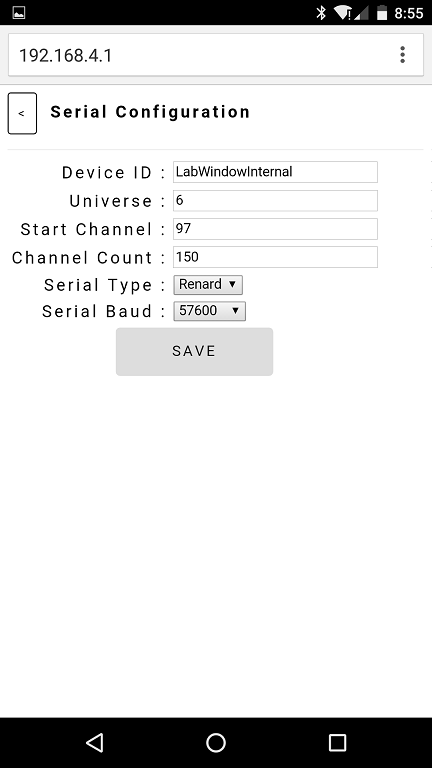 Make sure Channel Count matches your Renard setup as well as Baud rate. 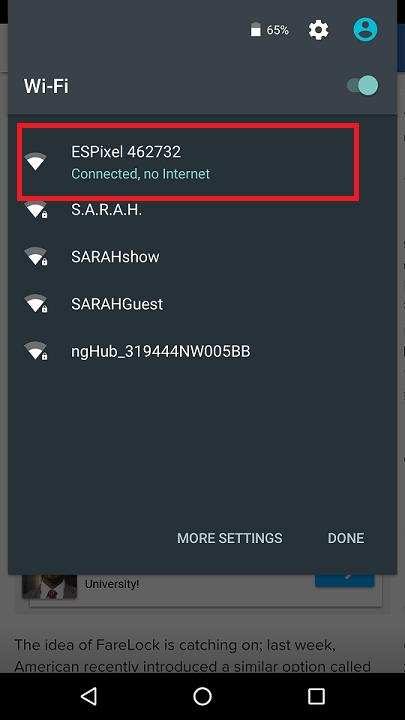 If you have an issue with WiFi adapter and need to reset the configuration, there’s an app for that! No not really, but you can force the REN-ESP adapter back into AP mode. Simply turn off your wireless AP and then power up your Renard. After a 20 second timeout, the adapter will go back into AP mode. 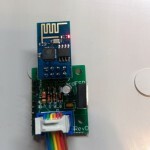 If you need to upload new firmware disconnect the ribbon cable from the WiFi adapter. 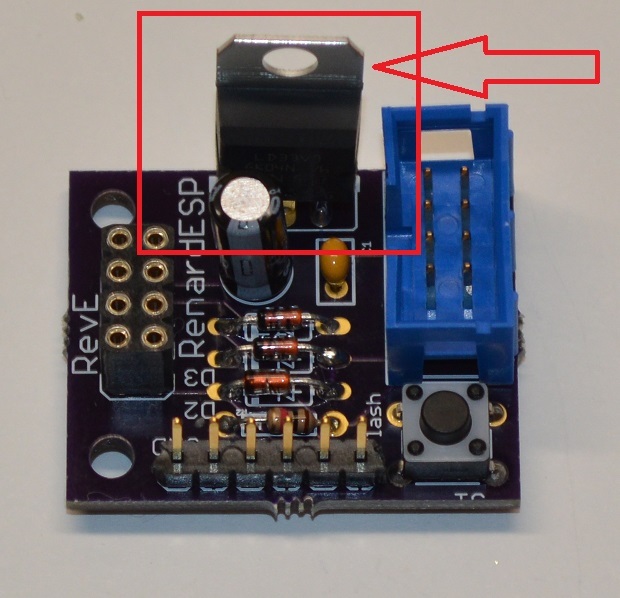 Depress the button on the adapter and connect a 3V or 5V FTDI board to the header as shown at the same time. You can then use the Arduino IDE with the ESP8266 core to upload new firmware. Inversion tables are meant to hold you up by your legs so you are able to position yourself upside down, thereby allowing your vertebrate to comfortable rest.